Christmas scene extended this year when you are spending your festive seasons with Olive Tree Hotel Penang. This year, Olive Tree Hotel Penang is celebrating Christmas with beautiful decorations available from the first week of December 2018 up until 7 January 2019 accompany with feast whole month long at Sukkah Coffee House. 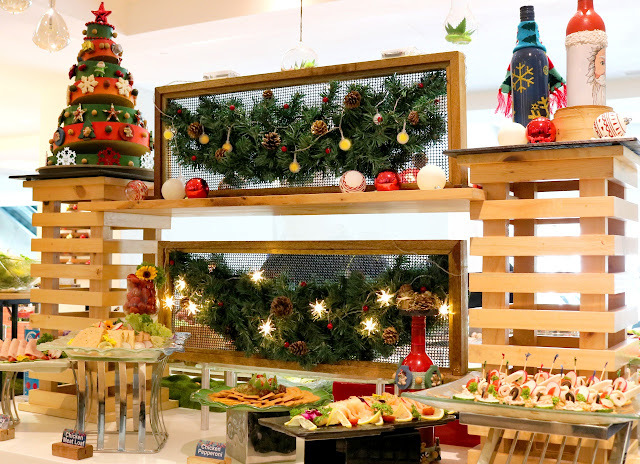 For the third annual celebrating Christmas, Olive Tree Hotel has been turned into a fairyland with all the beautiful decorations around the hotel, perfect for photography in every single corner. 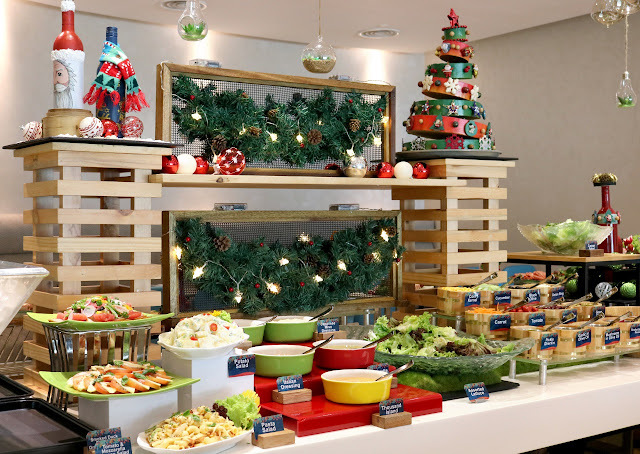 In conjunction with this festive, Olive Tree Hotel is serving festive buffets whole month long until 7 January with a Christmas theme where it is time for you to bring your family and friends to enjoy feast specially crafted for you. On the cold cuts corner, you can find several types of ham, salads, cheese and many more. There was also handmade sushi available as well as fresh sashimi. You get to have something light before starting your meal, perhaps some fresh vegetable salad to clean your palate before a heavy meal. Don't forget there are also seafood on ice of scallops, prawns, mussels and many more. 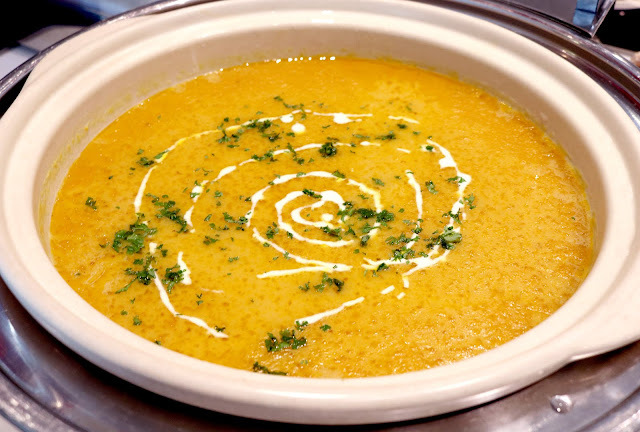 Alternatively, you can also make your own salad with the fresh vegetables provided or a bowl of hot and hearty pumpkin soup to warm up your stomach before you begin feasting. On the hot dish selections, we have all sorts of roasted and grilled vegetables. Honey glazed turkey square is pretty delicious to eat with those vegetables, or even better when you can enjoy it with seafood paella. 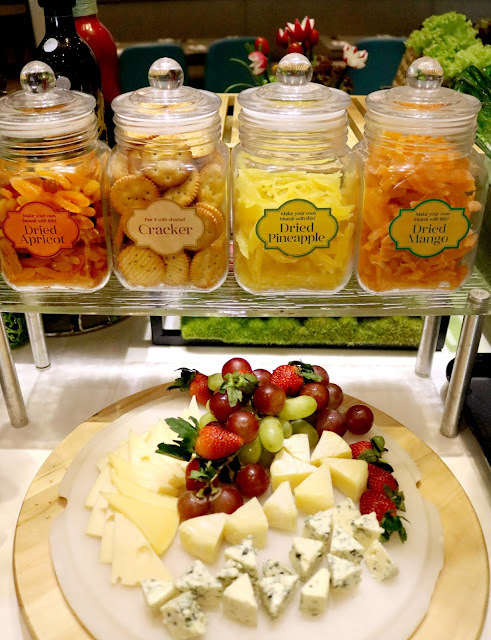 There are plenty of selections that you just want to try them all. What's Christmas without a big fat and juicy Turkey? Grab a few slices and top it up with Raisin & Chestnut Stuffing, don't forget to grab yourself a piece of Yorkshire pudding too! Other than Turkey, the roasted beef wellington is rather special that they serve with rendang sauce and the roasted beef with plum sauce too. 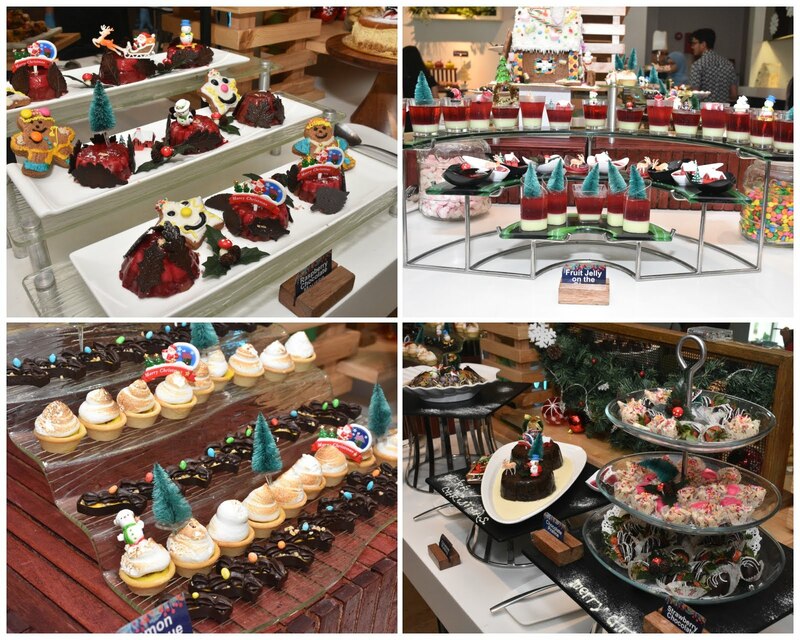 Looking at the dessert station really made me drool all the way. You can check out all the delicious and mouthwatering desserts nicely displayed at the buffet spread. I really like the decorations and also the beautiful gingerbread house made to match the Christmas theme. You can find all sorts of Christmas cookies, puddings and Christmas stollen available on the spread. Not forgetting the soft and chewy fruit cakes too! 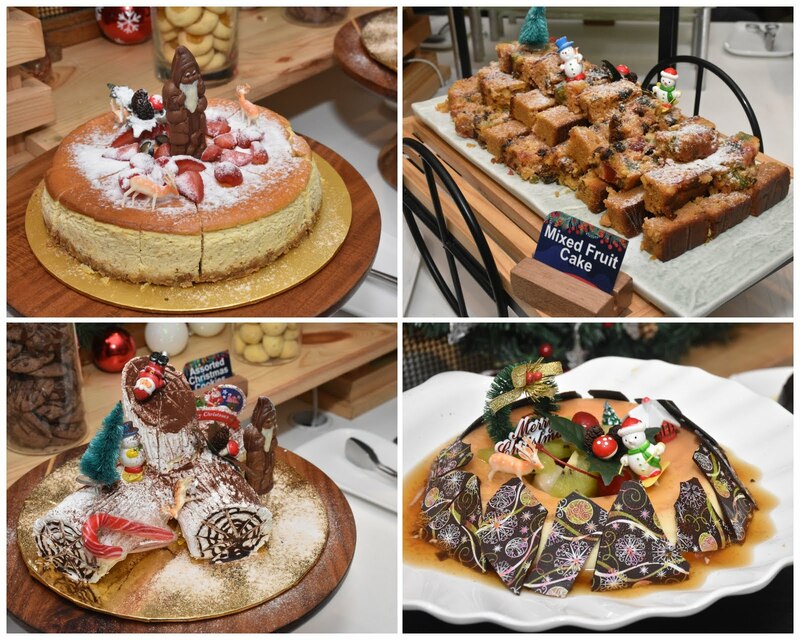 Other than that, there are also creme brulee, log cake, crepe Suzette, jelly and much more available. If you are a sweet tooth, you definitely wouldn't wanna miss the dessert spread. So if you have no plans on Christmas yet, consider spending your quality time with your friends and family at Olive Tree Hotel. Furthermore you can enjoy Early Bird discounts when you book your meals before 16 December 2018. Top up RM30+ for free-flow of beer and wine. Diners enjoy 20% discount on adult pricing for bookings made and paid before 16 December 2018. 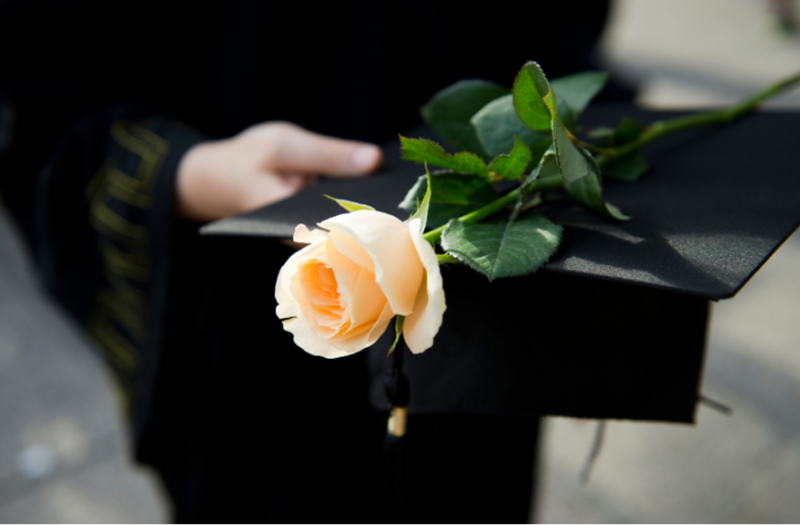 In choosing graduation bouquet, it is important and essential to consider the level of education completed. The florist in Singapore creates a different design of bouquet for graduates on primary and elementary school, high school and middle school, and college. 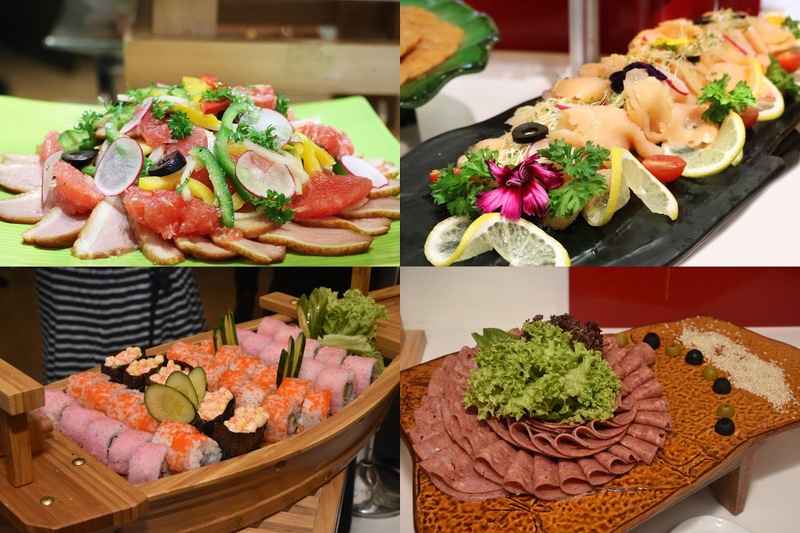 In addition to that, the flower shop Singapore provides large selections of hampers Singapore that can also be delivered as gifts to the graduate. There is a perfect hamper for each graduate depending on the completed level of education. 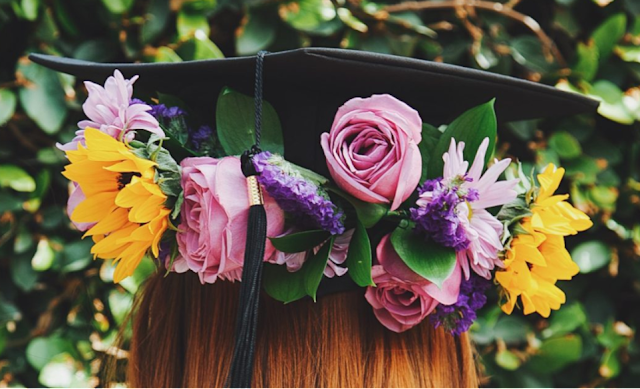 In choosing graduation bouquet, it is also important to consider your relationship with the graduate. If you are sending one for a son or daughter who graduated on elementary, you may choose to give a beautiful hand bouquet of impressive flowers paired with hampers of snacks or sweet treats, while for a college graduate, you may choose to give graduation leis on the ceremony and festive hampers for the celebration. There is a perfect gift to send to everyone at the florist’s shop. In choosing graduation bouquet, it is important to consider the things that the person will need after graduation. If he or she is on to a new life in college, you may choose to send a florist delivery of bouquets of flowers on the ceremony or a hamper of essential gifts as the person enters college life. You may include items needed in a college dorm, books, and school supplies for college, more shirts and socks, or gift certificates to allow the person to choose. There are plenty of bouquets, gift items, hampers, and baskets to choose from aside from the graduation flowers. You can send the best gifts to the people important to you who are graduating today. With these factors, choosing the right Flower Delivery Singapore to greet the graduates is more convenient and sure. Little Flower Hut in Singapore is here to solve all your gifts ideas mess! Whether you are planning a special occasion for your loved ones or family and friends, you can always surprise them with a beautiful gift and now Little Flower Hut can provide you with a better solution on that! Fresh flowers available daily in store! Check out https://www.littleflowerhut.co/ to know more about their services and products! Sudio Sweden is well known in the market for its chic design, good sound performance and easy to carry headphones and earphones. 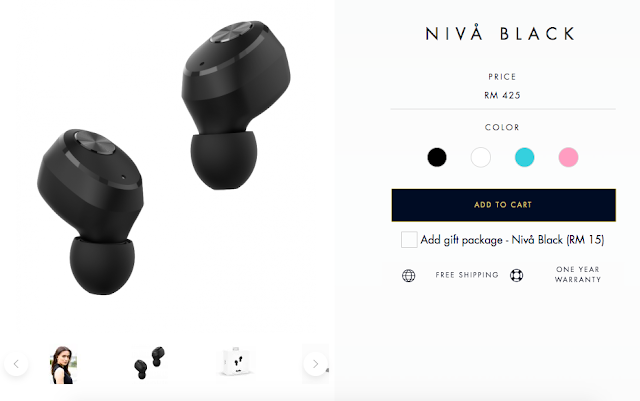 They offer wired and wireless earphones & headphones with high performance and yet at a reasonable price in the market. Sudio is not only about sound system, it is also about modern designs that made the brand Sudio became well known worldwide. 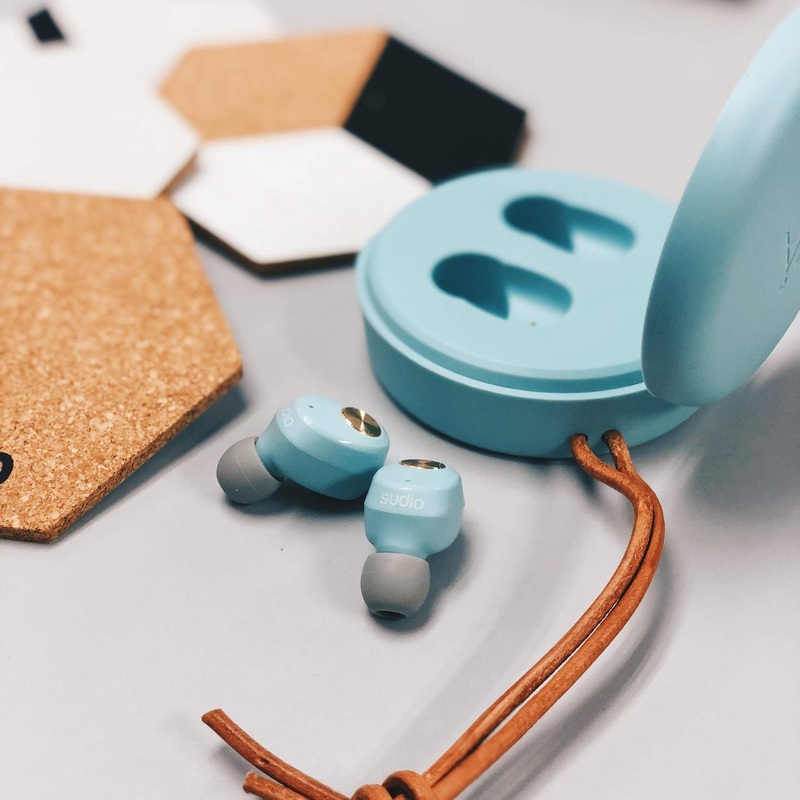 Sudio earphones and headphones are priced reasonably as compare to other brands with the same sound quality and yet Sudio can always come out with better designs. You may have heard a lot about the brand but not that you can get it everywhere especially in Penang. Now it is much more convenient when you can just grab a pair of Sudio NIVÅ online directly from the website at www.sudios.com with 15% discount! The chic and stylish Swedish design of Sudio NIVÅ is even better than Sudio TRE and Sudio VASA BLÅ. Making this earbuds wireless earphone pretty eye catching and makes people feel like having them. 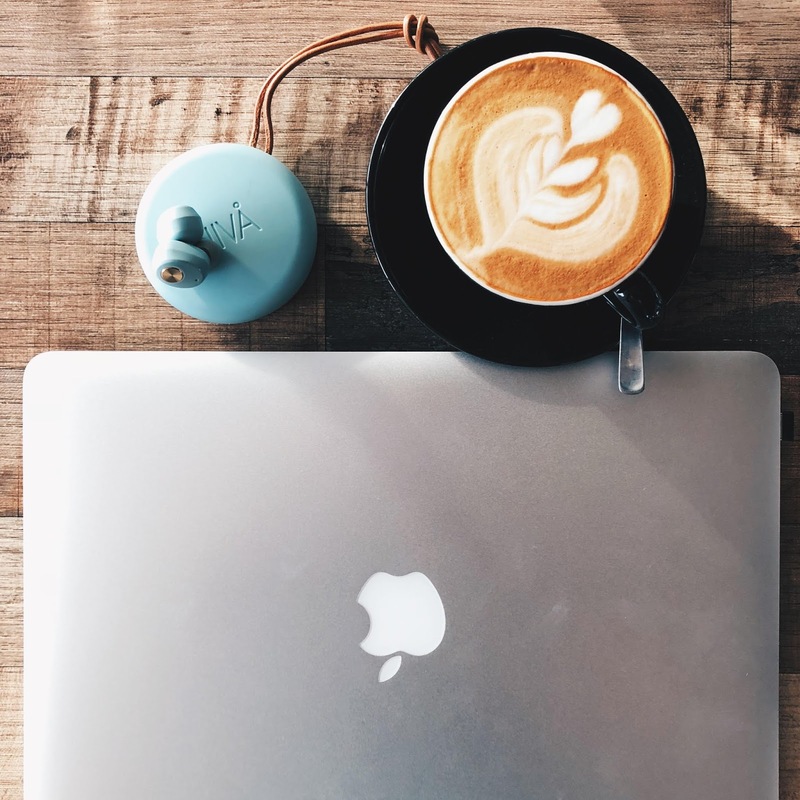 Whether are you having a cup of coffee in a cafe, listening to music will definitely be better with the companion of Sudio NIVÅ that can perform well even in a busy cafe. 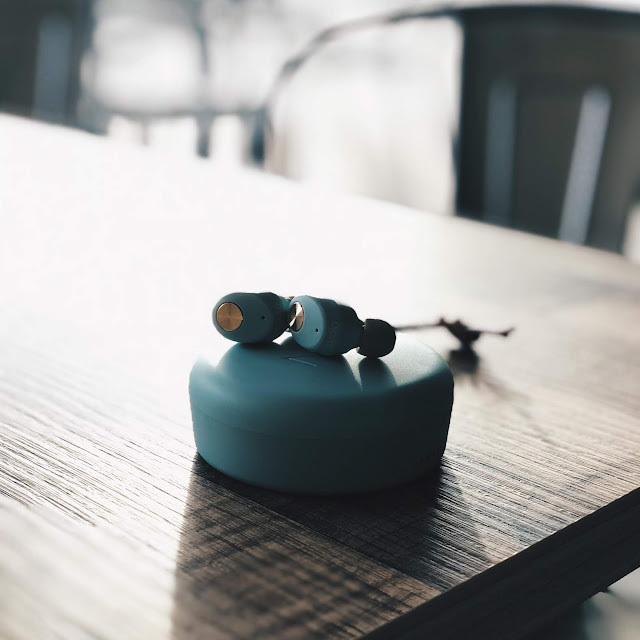 The earbuds can help you isolate yourself from all the noise happening around the cafe. It gets quite frustrated when you are sitting in your favourite cafe and had to bear with all the loud talking of other people especially when you plan to be there just to have some "Me" time. Sudio always offer different free gifts from time to time and when I got my Sudio NIVÅ it came with a set of specially Swedish design coasters. A set of it consists of 4 different beautiful and modern designs. 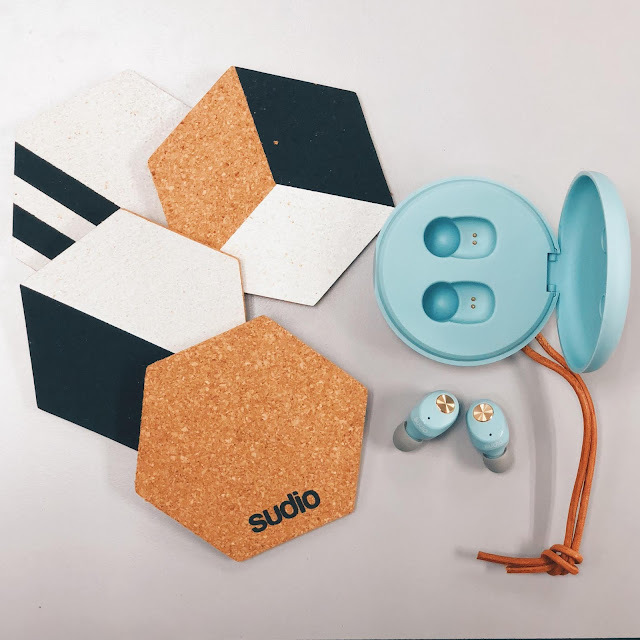 Not forget to mention that whatever purchases you made through Sudio Sweden website(www.sudio.com), they also provide FREE DELIVERY to whole Malaysia. 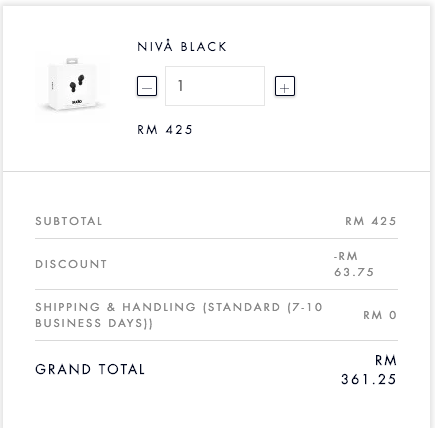 It is even better when you don't have to pay additional for shipping fee when you purchase other brands. Even when I was working out at the gym, no matter what exercise I was doing such as running on the treadmill, doing burpees and such, Sudio NIVÅ fitted into my ears perfectly and didn't drop out at all. This is what impressed me most because even the previous earphones that I used before are not that perfectly fit. 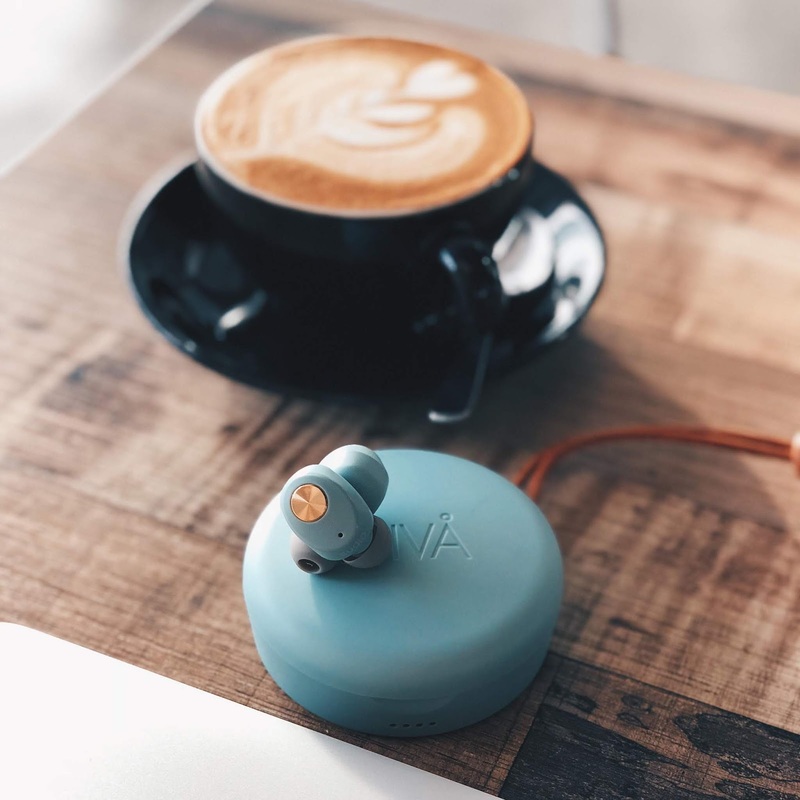 Sudio NIVÅ comes with a very beautiful charging box that enables 4 full charges. 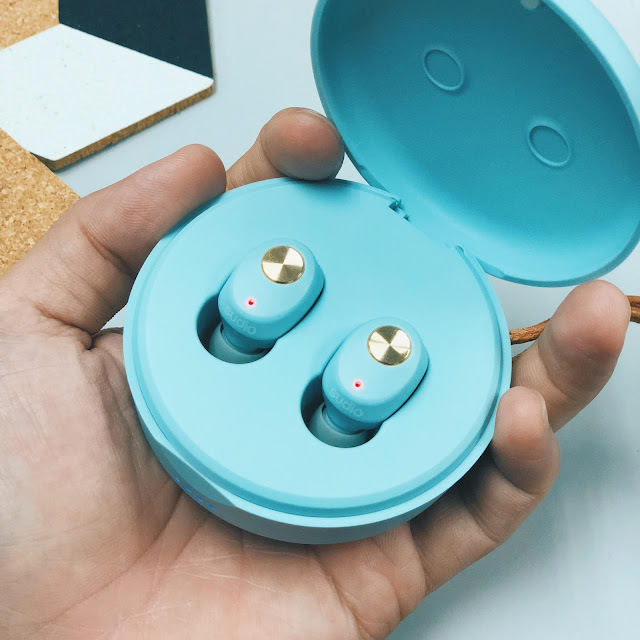 A pair fully charged Sudio NIVÅ wireless earbuds can last for 3.5hours so with the charging box you can enjoy total of 17hours of great music with your earphones. It is always hard to make decision when it comes to brand selections. I do always go back to the brand that I trust as long as I've experienced it myself. Sudio Sweden was kind to me since Sudio VASA BLÅ and I'm impressed after I've tested Sudio NIVÅ to find that it is even better than the previous ones. When you make any purchases with my code here "JJzai2018" on Sudio Sweden website www.sudio.com you can enjoy a total of 15% discount from your purchase. Buy now while the code still valid! A person who loves gardening or in some plant air stuff will be delighted to find this newly added hidden gem in Penang. Secretly opened at one of the quietest streets located at the heart of George Town, M'atural is a place for people who love bonsai art and also for those who are looking for a cozy place to chill for a relaxing afternoon. The moment you arrive at M'atural's doorstep, you can see yourself surrounded by greens! There are so many plants in almost every corner of the cafe and it feels rather relaxing to be in there, not forget to mention every corner is also perfect for photos. There are many of their own creations displayed around the cafe. Some are for sale and some for display only, you can always check it out from the cafe to ask for the best price or you can also create your own by participating in their workshops! A relaxing corner, perfect for picture opportunity too. We had this Kiwi Yoghurt drink and it was rather thick and creamy that you can tell there was a generous amount of Yoghurt added to the drink. 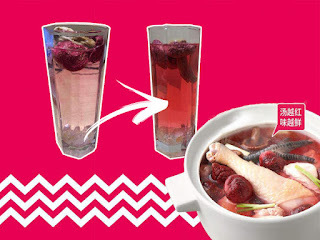 It was refreshing yet feeling so healthy at the same time. M'atural has a very limited menu but you can tell that all the dishes available are quite interesting. We have tried the Cheese & Potato Quiche which was surprisingly good! Though the dish wasn't very quiche looking and tasting, but I must say that the combination of all ingredients including the refreshing salad on the side was really good. It has a freshly baked crispy puff together with cheesy potato that cooked with bacon slices, every bite is a sin! We also ordered a Pear Pie from the pie menu. They focus on using fresh fruits for their pies so we got a perfectly poached pear sandwiched with puff pastry and cornflakes side. The pear was quite soft and comforting, we love the nicely poached texture and the juicy pear flesh. I can say that the food here are really creative yet so delicious. M'atural is a Bonsai theme cafe where gardeners can meet up for chit chat and catch up while enjoying their beautiful creations. You may find the preparation time for food may take a bit longer compare to other cafes but trust me, they worth your wait. 72, Lorong Carnavon, 10300, Georgetown, Penang. It's always good to spend some time with your family over the weekend with meals and shopping. You can always do it when you are out at Gurney Paragon and visit one of the best rated Michelin restaurants in Singapore. My last visit to Putien was very satisfying and since then I visit with my family once in a while and they never really disappoint me. Now we are back for another round of food review to feature more of their signature and delicious dishes to all Penangites. If you are not sure which appetizers to go with, perhaps you can try this platter that is good for sharing among 2-3persons and you still get to taste 4 different starters that they are serving at Putien. The 4 signature dishes consist of their signature seaweed, braised homemade beancurd, cold pork trotters jelly and braised pork intestine. How can we call it Chinese cuisine without a proper soup dish? And this time we tried the 藥膳竹筒蝦 Bamboo Herbal Prawn (RM12.90 per serving) which was served in a bamboo bowl. The soup was rather flavourful and it was slightly saltish sweet from the prawns. 芋香鸭 Deep Fried Duck with Yam (RM27.90 / regular serving) was one of my favourite dishes of the night. I am not a fan of yam but when it comes to soft yam it is always irresistible to me. This was pretty crispy and the duck was nicely covered in a layer of yam, simply delicious. If you are not into rice then you can try something special from Putien. The sweet potato noodles are something like 面粉糕 Chinese rice cake and it was smooth and starchy. 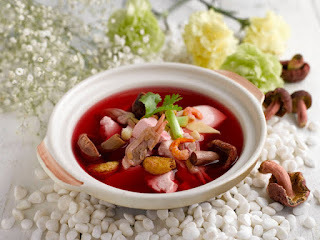 It is a type of heart-warming food that makes you feel like having it whenever you miss home. Another selection would be there Ca Fen that tasted like mee sua, this was something that you would crave for when you enter a restaurant with powerful aircond or during rainy days. The warm and starchy noodle. 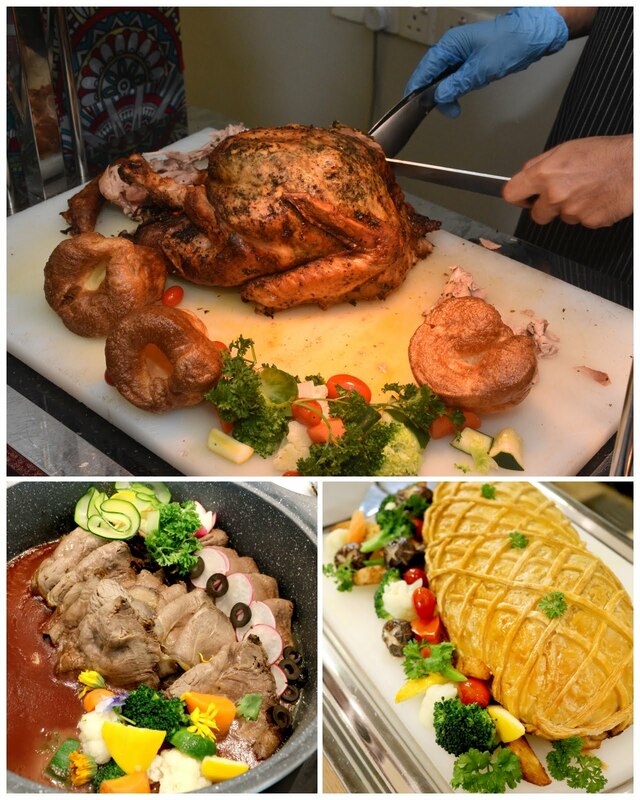 This kind of food will always remind us of our family especially when it comes to special celebrations. 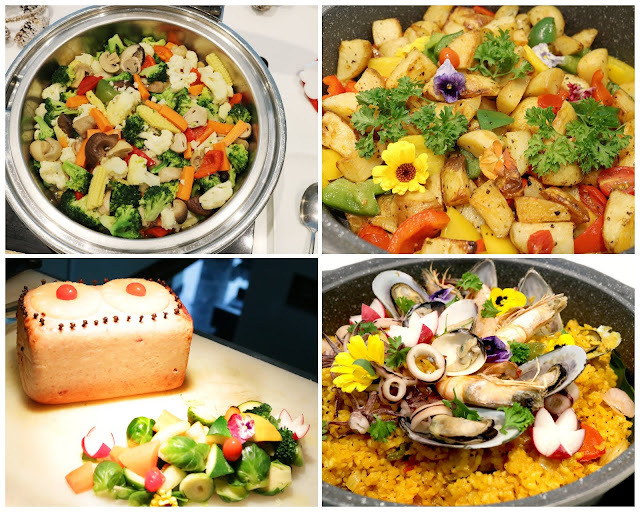 If you are a vegetarian, there are several dishes which can be prepared in vegetarian style. Their homemade tofu was really soft and smooth, you can just slide it into your mouth if it is not too hot. One of my favourite dishes of the night was this 風味松鼠魚 Deep Fried Squirrel Fish (93.90 whole fish) topped with sour & sour sauce. The fish was fried to perfection and it was deboned so I kinda like it. Every bite was so crispy and together with the sauce, it made this dish so appetizing and delicious. It was another great meal we had at Putien and this will definitely not be the last. Ever since Putien opened in Gurney Paragon, I've visited a few times with my friends and family and we kinda like it. Give it a try to this Michelin starred restaurant and indulge in good Chinese food sometimes. So what's new in Putien? They imported some great stuff from China! 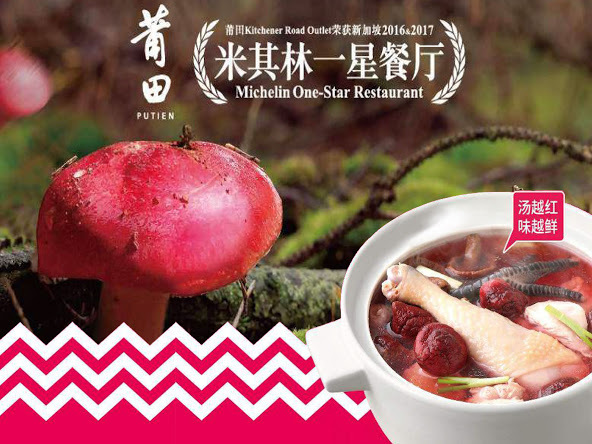 The rare red mushroom is only available seasonally in Putien as it is very rare and rely solely on natural growth. Rare red mushroom are not able to reproduce by any technology until today and only can be found in the jungle. The red colour is the natural colour from the mushroom and now in Penang, Putien is the only restaurant that is serving this dish. 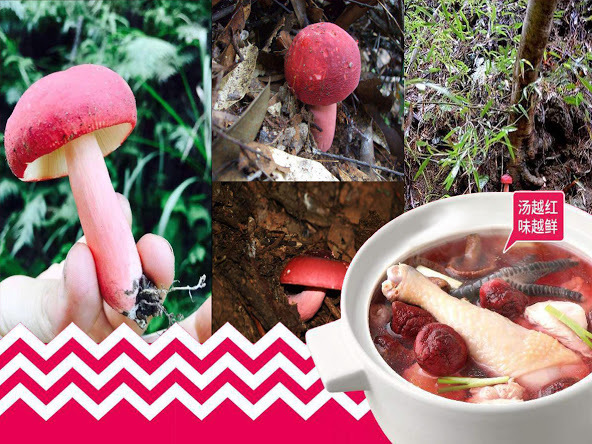 Rare red mushroom is rich in nutrients, good for digestions and also helps in lower down your body cholesterol and detox your body. Grab it while it is still available, limited stocks only! Love some of the dishes that Putien serves? You can also buy some of their merchandises and learn how to cook yourself!